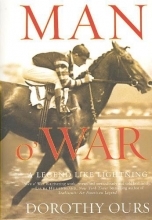 The story of a legendary early twentieth-century racehorse offers insight into the sport during his career, describing the horse`s rebellious early years, the rumors about race fixing that haunted his one defeat, and the role of arch-rival and Triple Crown winner Sir Barton. Reprint. 25,000 first printing.